Are You Getting the Most Out of Your ERP Machine? We at IQMS get the pleasure of dealing with manufacturing businesses on a daily basis. My whole career has been dedicated to the manufacturing industry and I have always enjoyed walking through a busy plant. Getting high utilization and maximum efficiencies out of constrained resources has been a lifelong goal of mine, regardless of what product is being produced. If we take a piece of capital manufacturing equipment and watch it run over time, we can get information on how long it ran, how many parts it made, how well it ran to the quoted time, etc. If you are using a Manufacturing Execution System (MES) product like RealTime Production or Process Monitoring from IQMS, you can see that information in ... well, real time. This enables the operations team to take immediate corrective actions when the issue is occurring, rather than doing a post mortem analysis days after the issue occurred. As manufacturing advances, the equipment becomes more complex. At a few of my first manufacturing jobs, I worked with Brown and Sharpe screw machines and steam-heated thermoset compression molding machines from the 1940s and 1950s that were still making parts into the 1990s. The controls on these machines were simple compared to today's advanced equipment. 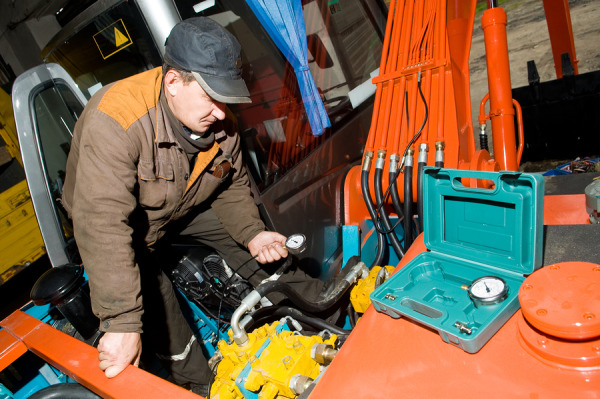 Operators relied on intuition and workarounds to keep their machines running and churning out products. Today's modern equipment can monitor hundreds of processing variables that affect the quality of the product being produced. They also provide complex controls to adjust those settings. Operating an advanced piece of manufacturing equipment today requires similar technological skills as programming a computer. But once they are set up properly, they can produce high quality complex products. Business software is not unlike manufacturing equipment. It is seen as a capital investment and when it first came out in the 1980s, it had basic functionality. As it matured, more features were added. The difference between a piece of manufacturing equipment and ERP software is that a fully integrated ERP system like EnterpriseIQ contains enough modules and functionality to touch every business process in your company. 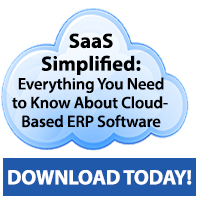 But yet many companies are utilizing their “ERP Machine” at suboptimal levels. Why is this? The Professional Services Group at IQMS has implemented hundreds of ERP systems over the years. One simple observation is that the process of converting off of a company’s legacy system and “going live” on an advanced ERP system like EnterpriseIQ is seen as the finish line. Once the initial implementation is complete and the consultants are gone, the responsibility of optimizing the use of the system falls on the staff at the manufacturing company. Yes, we have seen many successful transitions over the years where the company’s team takes full ownership of advancing the use of EnterpriseIQ, but the majority do not. If a manufacturer had a piece of capital equipment that was running suboptimally, what do you think the response would be? My guess is that company would allocate internal technical resources and possibly bring in OEM technicians to help improve the performance. Why not apply the same practice to your ERP Machine? IQMS' Enterprise Application Analysis (EAA) tool is one way to monitor and assess your company’s use of EnterpriseIQ. This three-day engagement ends with the delivery of a report that will not only grade your use of the modules and features that you currently own, but also let you know if there are additional features, modules, services or hardware that would improve your business processes. After this Analysis is conducted, we have seen successful companies continue to have recurring visits from an IQMS consultant. This not only allows you to continually improve the adoption of EnterpriseIQ features and functionality, but also provides your staff a resource that is knowledgeable in industry best practice application. You have an asset in your ERP Machine, so treating it like your production assets makes perfect sense.